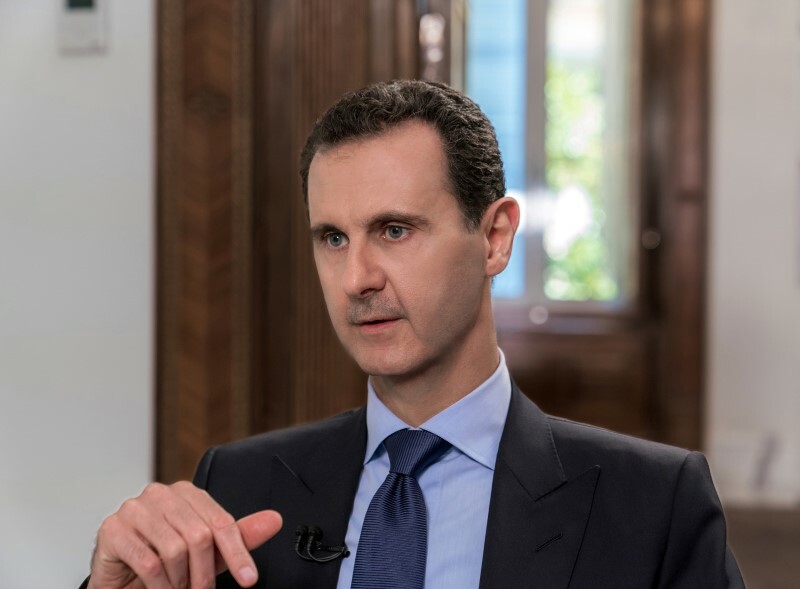 The leaders are set to plan the looming military assault on Idlib in northwestern Syria, the last major bastion of active rebels to Syria's President Bashar al-Assad's government. The leaders each held bilateral talks before the meeting began in Tehran. North-western Idlib province and the surrounding areas are home to about 3 million people - almost half of them civilians displaced from other parts of Syria. Russian planes struck the Idlib province, where rebels combating force loyal to Assad maintain their last major stronghold, with dozens of airstrikes on Tuesday. The Syrian government has been repeatedly accused of using chemical weapons in the long conflict. Erdogan also said Turkey no longer had the capacity to take in any more refugees from Syria should the government offensive in Idlib go ahead. A major assault would be devastating for the almost three million people living in the northwestern province, many of them rebels and civilians who were moved out of other areas as they came back under regime control. That also includes an estimated 10,000 militants, including Al Qaeda-linked militants. Turkey's President Erdogan said late in August that his country is working with Iran and Russian Federation as the Syrian army is preparing for a decisive battle to drive terrorists out of the Idlib Province. For Turkey, the stakes could not be higher. On Wednesday, Trump warned the Syrian regime that "the world is watching" and expressed concern about the 3 million civilians living there. They said a military strike on Idlib would lead to a "humanitarian catastrophe". "Iran and Russian Federation are the fighting forces in Syria and have brought blood and tears". But all too often, establishment takedowns of Trump-from centrist conservatives and liberals who consider themselves "the grownups" in this improbable era-dwell on course-correcting one of the few things the Trump administration has done moderately right: not getting us further entangled in foreign civil wars, nation-building boondoggles, and other imperial adventures of the sort that Bush-Clinton-Bush-Obama adored. The Tehran talks could determine the scale and the timeline of the Idlib offensive, which the United Nations has warned may displace some 800,000 people. The spokesman for Iran's Foreign Ministry is calling a summit on Syria between Iran, Turkey and Russian Federation an "invaluable opportunity". While America has some 2,000 troops and outposts in Syria, Trump has said he wants to pull those forces out. Just hours later, the UN Security Council will also meet at Washington's request, also to discuss Idlib.